April is becoming a distant memory as we move farther into May. 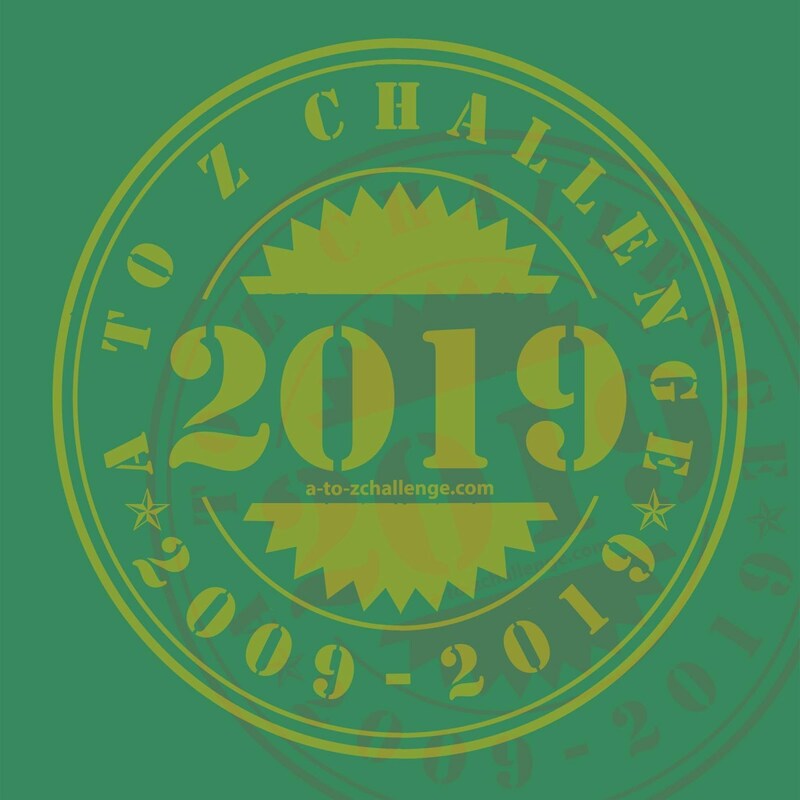 But today, the folks at the Blogging A to Z challenge have asked us to take a moment to reflect on April's blogging. I wanted to do that reflecting right away (May 1) but they set the date for our reflection post one week after that. I almost cheated and posted my reflection whenever I felt like it - what? I'm impatient - but I forced myself to wait so that I had time to think and gather my thoughts. I was a little concerned about my theme and seriously questioned it up to and even after I shared it on my blog. Not because I didn't love it - I'm not lying when I say that statistics is my first love - but because I wasn't sure I could sell it. As in, I didn't think I could write 26 blog posts about statistics that were enjoyable for anyone to read except me. I even thought about changing my theme after my theme reveal post. But I decided to stay the course, and I'm glad I did. but at a higher level. In fact, this book was used in my graduate statistics course as a companion to the textbook. 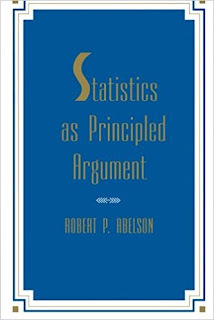 My contribution would be more like the primer that gets you closer to being able to really enjoy Abelson's book but that also serves as an introduction to statistics. In fact, the folks at Blogging A to Z want bloggers to use this month as a springboard into a larger project, such as a book. But I'd just participated because I liked the challenge, not for any kind of inspiration. So this is a pretty surprising revelation. Why am I thinking about doing this? I really do love statistics. I've been thinking about other stats topics I couldn't fit into A to Z that I'd like to sit down and write about. As I would tell my statistics students (most of whom only took the class to fulfill a requirement and were certain they were going to hate it) on the first day of class, we encounter statistics all the time. Without some kind of numerical (and statistical) literacy, we're forced to accept or ignore the information people are giving us. But with knowledge of statistics, we can evaluate and determine whether (and what part of) the information is valid and acceptable or not. We don't have to default to just accept or ignore. My dream? A world where people aren't afraid of numbers and don't panic when they see Greek letters. I seriously had students who would shut down the minute they saw any kind of Greek symbols in their textbook; statistics is full of them. But these letters are just symbols that stand for a concept. We deal with symbols all the time. We don't freak out when we see a stop sign, even though this is also a symbol that communicates a great deal of information: stop, look both ways, yield to other cars, and so on. And these statistical symbols aren't simply abstract concepts - they stand for real things, even if that real thing (like the population mean) is something we're not able to measure ourselves. These aren't imaginary numbers. They really do exist somewhere out there. Clearly, I learned a lot of things about myself this month. I also learned from my previous Blogging A to Z experience by writing more posts ahead of time and scheduling them. (As with last year, I wrote a list of topics ahead of time, so I wouldn't be struggling to figure out what to write as the month went on.) I didn't do as much writing ahead of time as I could/should have. But when I found myself getting really excited about an upcoming post, I would sit down and write it. If it was ready to go, I'd schedule it. If it still needed more work, I'd save it as a draft to revisit later. Next year, I hope to do more of this, especially because this year, I posted two posts late. 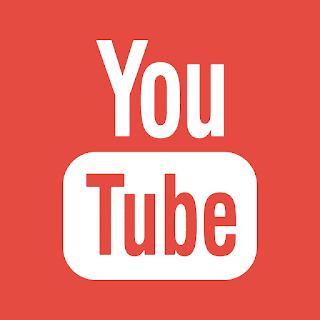 I got to them eventually and didn't give up, but I still had to write and share two posts on a Sunday to get back on schedule after having missed a Friday and Saturday post. This happened on a really busy weekend. Not a big deal, but I know I can stick with the schedule with a bit more pre-planning, especially because this particular busy weekend is a regular event happening every April. Thanks to everyone who read and commented on my posts! Once again, I didn't do this as much as I should have, but I did discover some new fun blogs through the challenge that I now follow, including Dena's Ramblings (Dena blogged about US Supreme Court cases in April) and Fangirl Stitches (who cross-stitched her way through the Buffyverse). Whether or not I go through with the book idea, I would love to write more posts about statistics. Some thoughts I have: effect sizes, parametric versus nonparametric tests (terms that I didn't really understand fully until recently, despite taking 10+ statistics courses and years of working in the field), estimation techniques and what they mean, and the general linear model. But I would love to hear what readers would like to know more about, whether it's a topic I didn't cover in April or a more in-depth examination of a previous topic. Any requests? Sign me up for your book. I think *How To Lie with Statistics* should be required reading for any adult in the modern world. Clearly an update is due. Science, Uncertainty, and "The Hunt for Vulcan"
Can I Get A "Amen"? Statistics Sunday: What's Normal Anyway?